Lublin in Eastern Poland is the capital of the country’s Lubelskie Province and sits only 99 kilometres from the Ukraine border (at Starovoitove) and just 88 kilometres from the Belarus entrance (at Włodawa). 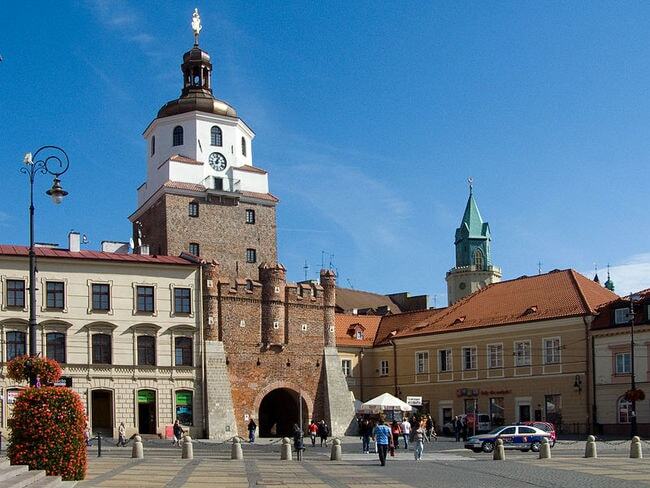 Lublin’s location doesn’t make it ideal for short-term tourists to Poland who often flock to Gdańsk, Warsaw and Kraków instead; however, overland travellers who have more time on their hands commonly stop over in Lublin. There is an endless amount of things to see and do in this city, and this list simply covers the cream of the crop. 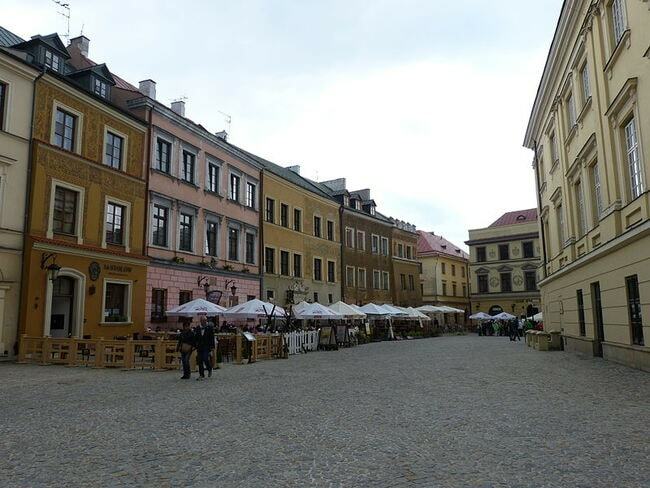 As with many Polish towns and cities, Lublin has a particularly impressive Old Town. What is special about the Old Town in Lublin is that it is more enclosed than most other Polish cities, and there is a starker and more obvious contrast here between the old and the new. Head through the main gate to the Old Town Square, admire the Old Town Hall and check out the many poky side streets and alleys while sampling some of the coolest bars, cafés and restaurants in Eastern Poland. Despite the horror and sadness within, the complex and museum at Majdanek is a must-visit for any tourist to Lublin. 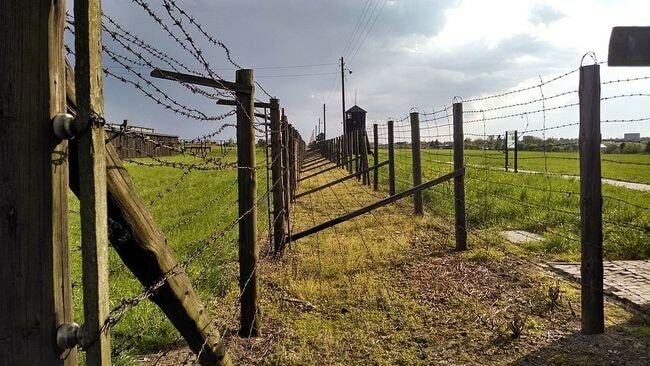 This was one of the largest German Nazi concentration camps, though realistically it was simply a death camp. Innocent people (mostly Polish, Jewish, Ukrainian) were worked to death here by Hitler’s Nazi regime, an estimated 70,000 – 100,000 people died here. It’s a huge museum these days, with extensive information and details of what really went on here. Shockingly, Majdanek is in the city of Lublin itself and only a 15-minute bus ride from the city centre. 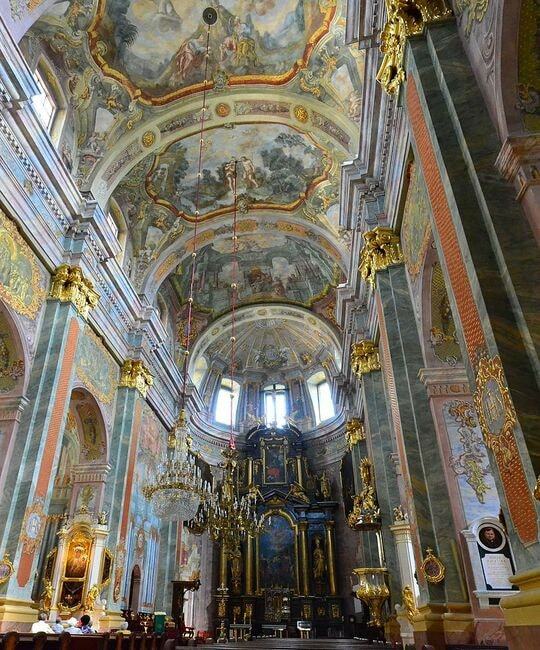 Being a Roman Catholic country, each Polish city has its fair share of churches and while you can see many here in Lublin, most tourists don’t go inside them all. Make an exception for St. John the Baptist’s Cathedral – it has a very well-decorated and stunning interior not to be missed. Attending Mass will also allow you to see Polish religious culture at its finest. The church was built between 1592 and 1617. As far as entrances into an Old Town go, there can be not many more elaborate gate entrances than the famous Kraków Gate into Lublin Old Town. From its bell tower and clock to the well-maintained brown brick walls to the fortress-style entrance, this is a marvellous example of 14th-century Gothic-style architecture. Although the Old Town behind it is mostly enclosed, this gate is the only significant surviving remains of the old city walls. 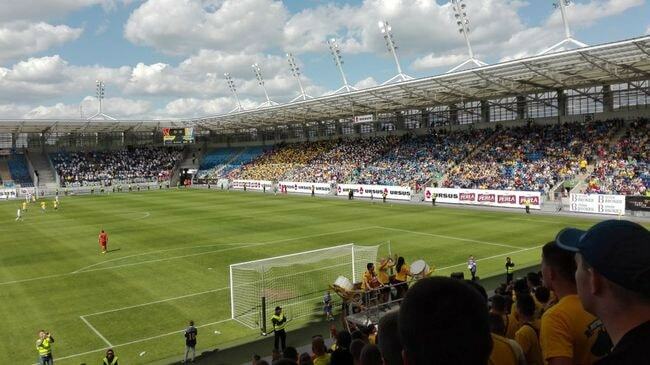 The local football teams in Lublin haven’t exactly made huge progress up the Polish leagues; however, the main stadium in the city is mightily impressive, and match tickets are cheap and easy to come by. Motor Lublin is the biggest club in the city, and they play here at Arena Lublin, which has seats for 15,500 spectators. The Arena hosted the UEFA European Under 21 Championships in 2017. Lublin City Museum is a highly important and impressive building in which it is worth spending a few hours. 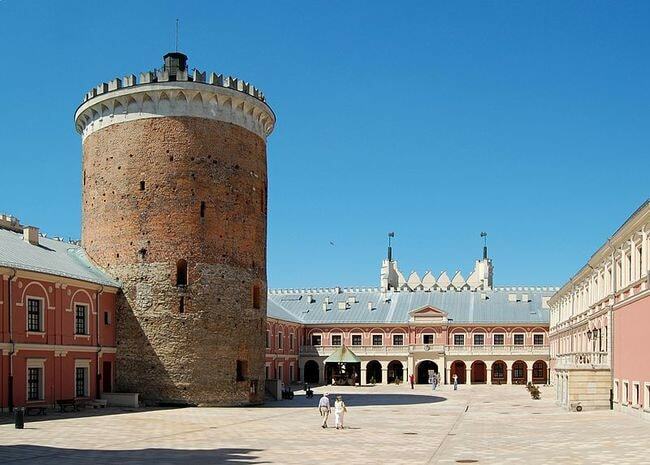 It is one of the largest museums in Eastern Poland and dates back to 1912. Inside there are permanent and temporary exhibitions. Items on view take you through the regional and national history of this area, with all kinds of paintings, sculptures, decorative arts, and manuscripts. 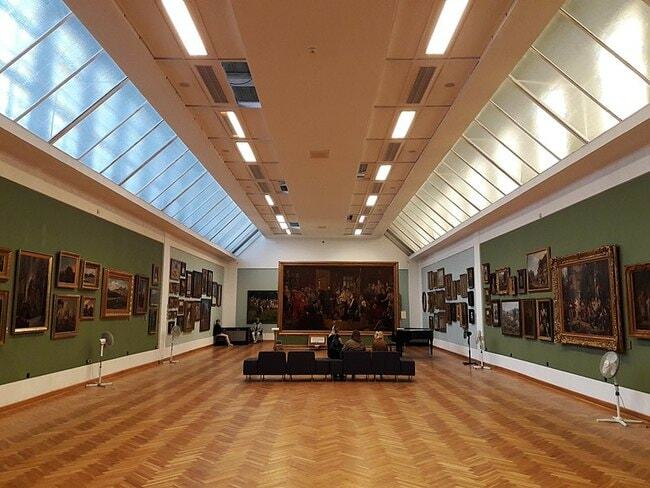 There are countless rooms to explore, some with magnificent Polish art and others with cultural items such as weaponry, coins, medals, stamps and maps. At the far end of the Old Town, you will find Lublin Castle. Its white walled entrance offers some contrast to the brick structures once you enter into what is one of the most significant buildings in the region. It sits at a good vantage point overlooking parts of the city and is a restored medieval castle from the 15th century. Inside, there is a Gothic chapel and a museum. Once you are finished with the history lessons and your time at Majdanek, delve into what modern-day Lublin is all about. Start with the new City Hall, the modern churches and streets full of offices before enjoying some fine food and drink on one of the trendiest new streets – Krakowskie Przedmieście. While spending time in Lublin, you will want to know what culinary delights are on offer, and there are a huge range of restaurants, mostly within the Old Town and Krakowskie Przedmieście. Head to Bar and Restauracja Starówka for some excellent pierogi domowe (homemade Polish dumplings) and regionalne piwo (local beer). If you happen to chat with the local Polish people in Lublin, they’ll also tempt you to try a Polish vodka shot or two.